From simple clay pots to trendy recycled plastics, containers filled with lush greenery can/should be used anywhere and everywhere! 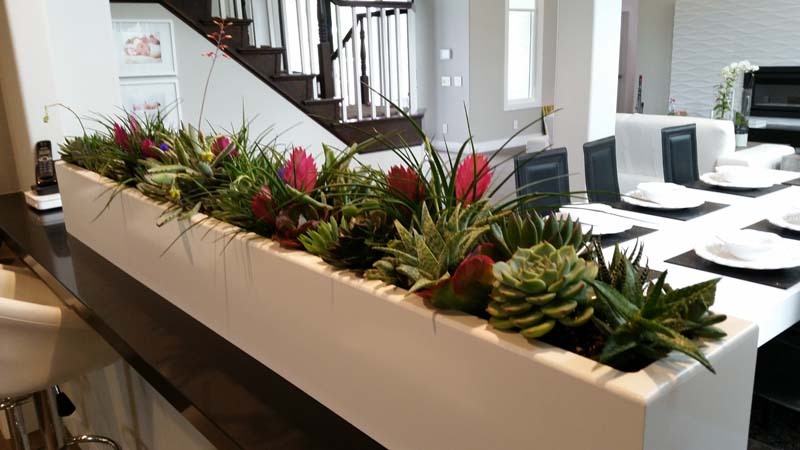 Container planters makes a statement in any interior or exterior use. 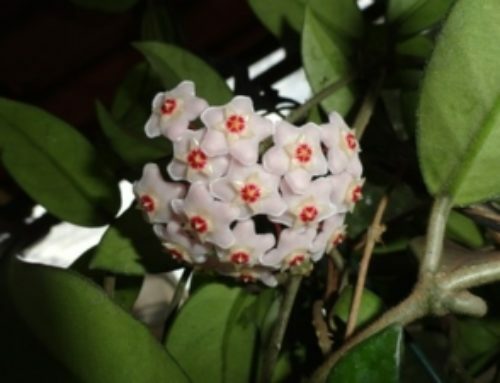 They can feature a splash of color by your front door or as a cluster of pots for a centerpiece on your porch. 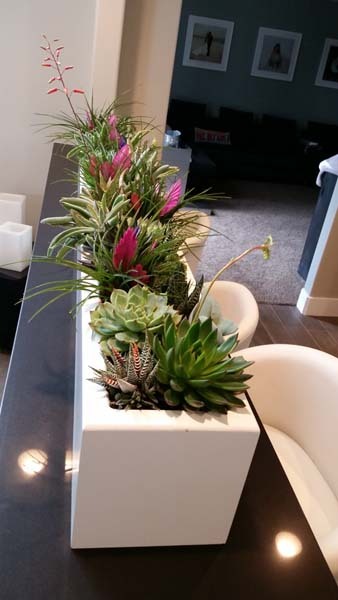 Complimenting container planters offer a simple or bold way to beautify even the smallest of corners. Container choices- This is where the fun starts! Success starts with the container. While the schemes and color palettes vary from season to season, the containers are a permanent feature. So when it comes to container choice: let your creativity flow! Remember, they can be used over and over again through the years with different plants. Look for containers with textures and colors that complement your interior and decor. Use simple hues for planters to let the plantings provide the pizazz. Although in some situations, the containers themselves may want to be the show-stoppers. Groupings of three or four pots of varying sizes can create an attractive sense of scale. For example, your largest pot might have a taller plant surrounded by flowers or sport more colorful leaves. 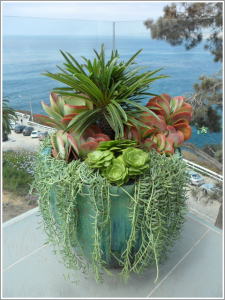 Meanwhile, the shorter or smaller container might be a mounting design, while a third has groundcover hanging over its edges. Three containers for three distinct looks. Together, they create a balanced display. Good soil, regular fertilization, and proper watering will support a long lifespan for container plantings of all shapes and sizes. A potting mix with moss, rich organic soil, and a little sand will provide both water retention and drainage for your plants. 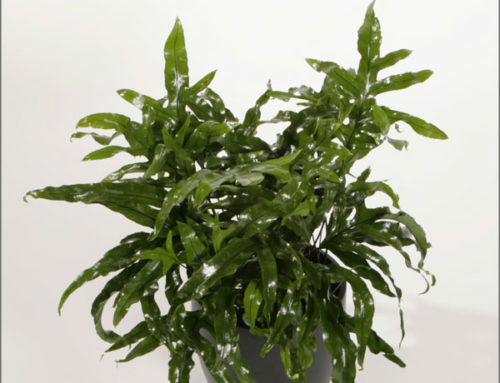 Watering varies depending on the time of year, the plants, and the container. 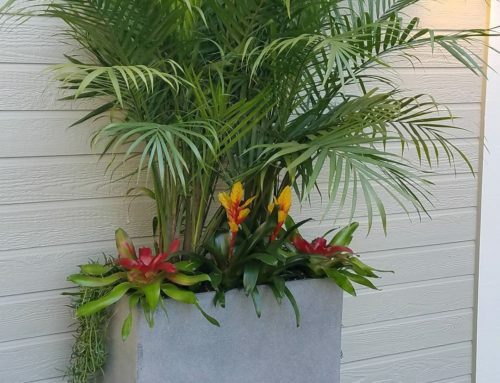 Plantopia Designers create the perfect recipe for healthy and hearty container planters, while also providing fertilization for your plants’ longevity. 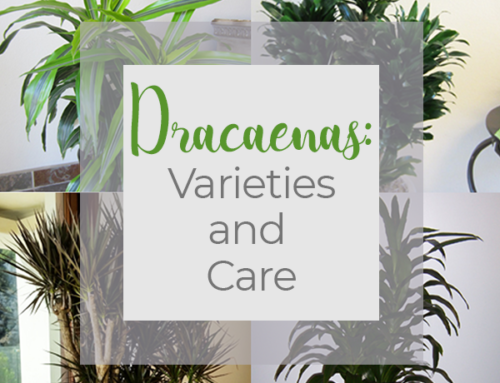 In addition, our teams are well schooled in this care and schedule regular visits to manage your potted landscapes. Contact Plantopia to ask about all the odd, new, and complimenting planter containers there are to choose from for your unique space today. Call 800-690-7875 or email us at info@myplantopia.com.